A top source in the judiciary told Vanguard, last night, that contrary to claims in certain quarters that the CJN was furious with Buhari for allowing EFCC to ignore court orders freeing the Dasukigate suspects, Mohammed had nothing to do with the issue. The top official noted that though there were concerns among judges that some of their orders had not been carried out to the letter by some government agencies, there was also fury in the judiciary that many judges had aided and abetted top government officials to loot the treasury with impunity through frivolous orders and injunctions which were against the interest of the country and its people. 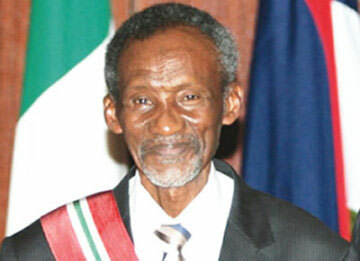 The senior official close to the CJN said: “I don’t think that the CJN has issued any statement on any court order relating to the investigation of the arms cash, individuals or groups since he believes that the courts are well able to discharge their duties as enshrined in the laws of Nigeria. “Again, the thinking in the judiciary seems to be that some judges misused their offices to encourage some corrupt key government functionaries to slip away to foreign land with huge public funds under the guise of seeking avant-garde medicare. “If the question may be asked, was it the CJN that ordered those judges to work against the interest of Nigeria by granting frivolous orders that enabled corrupt Nigerian public officers to make away with public funds? “Let it be known that the CJN does not and will never encourage any form of misdeed having taken the oath of office to remain incorruptible, just and firm in the discharge of his duties to Nigeria and its people. Yesterday, the media was awash with claims that the CJN had fallen out with Buhari over his refusal to obey court orders granting bail to some suspects implicated in the sharing of $2.1 billion meant for arms procurement. In particular, the commentators said that the CJN was upset that the President had not released the former NSA, Col. Sambo Dasuki (retd), and the leader of the Indigenous People of Biafra, IPOB, Nnamdi Kanu, from detention after being granted bail by courts.